Members of Marketing for Romance Writers blog about books, writing, reading, and life. Book Hooks is a weekly meme hosted by Marketing for Romance Writers as part of the MFRW Authors Blog. It's a chance each week to hook readers on your current WIP or any previously published book. By sharing samples of your writing in a meme, readers will have the chance to jump from one author to another. Here's your opportunity to hook some new readers! All MFRW authors are invited to participate. Book Hooks will take place every Wednesday. Join any week you can. Each week, a post will also go live on the MFRW Authors Blog with the full list to increase visibility. Add your blog link to the list below. You will need to do this on each weekly list every time you participate. Create a post on your own blog that includes the Book Hooks logo, an excerpt from your book, your book cover, the blurb and a buy link. Use a unique post title - don't title it "Book Hooks #1". 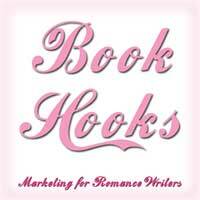 Place the Book Hooks logo on your blog's sidebar to help advertise the meme. Use #MFRWHooks in your tweets or title. Jump around using the linky list to see what other authors are writing. Leave comments to let them know you were there. Tweet about their post. Your blog link listed in each of the other participating blogs. Your blog post pinned on the MFRW "Book Hooks" Pinterest board. Your blog post tweeted by MFRW's twitter account. Sign Up for August 1 Book Hooks closes at 11:30 PM EDT July 31. Any questions or concerns about the hop (including requests for link removal) should be directed to Kathryn R. Blake at krb_chats at kathrynrblake dot com or krblake at KathrynRBlake dot com. Sign Up for July 25 Book Hooks closes at 11:30 PM EDT July 24. Sign Up for July 18 Book Hooks closes at 11:30 PM EDT July 17. Sign Up for July 11 Book Hooks closes at 11:30 PM EDT July 10. Visit Marketing For Romance Writers (MFRW)'s profile on Pinterest. 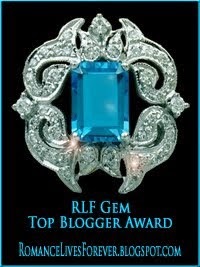 MFRW Author Blog is home to members of the Marketing for Romance Writers Yahoo! Group. We created this blog for our readers, and each other. On the Yahoo Group, we discuss ways to advance our careers, brainstorm ideas, get feedback, and find others interested in promo. This is our creative outlet. Here, we share our promos, blog hops, chats, contests, workshops, excerpts, and book releases. Interested in promoting with us? Visit our group, noted below.